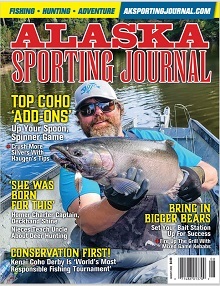 The Alaska Department of Fish and Game’s sportfishing license sales fell last year, even while its revenue from license sales increased. The department was expecting the decline, though, said Division of Sportfish Director Tom Brookover in a presentation to the Alaska House of Representatives Finance Subcommittee on Fish and Game on Tuesday. The Legislature approved an increase in license fees in 2016 to go into effect in 2017. Resident sportfishing licenses — which last all year — increased to $29 per license, and nonresident license fees increased to $25 for a one-day license and to $70 for a week license. The goal was to raise revenue on both hunting and fishing licenses that Fish and Game could apply as local match to obtain more funding from the federal Pittsman-Robertson Wildlife Restoration Act and the Dingell-Johnson Sport Fish Restoration Act.